On The Trams. Dennis GILL. Published by the author, 1986. 1st Edition. ISBN: 0951145800. 128 pages, 220g. Soft card covers FINE. Illustrations by Basil Sellars. 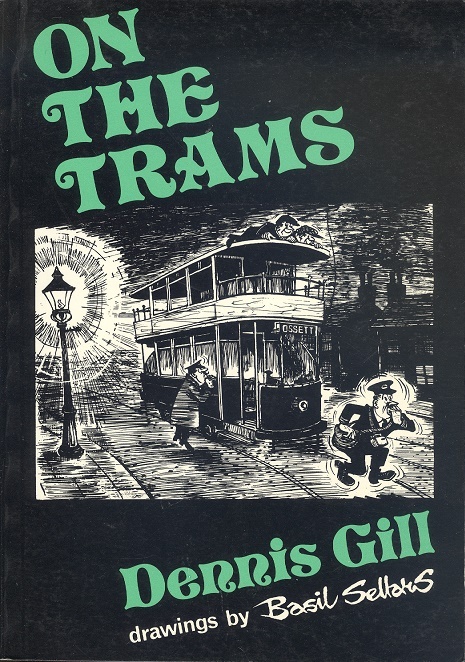 Packed with anecdotes and unusual facts about trams, this book is designed to appeal to all lovers of tramway folklore.